A police pursuit through Miami-Dade County came to an end near Miami International Airport. 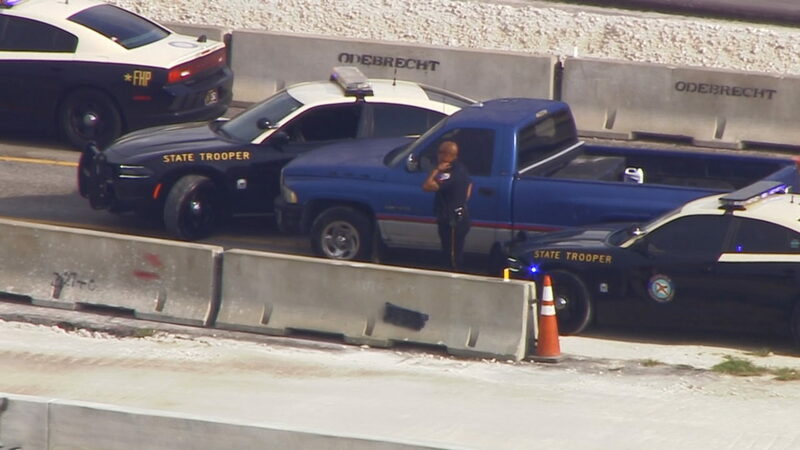 The suspect driving a blue Dodge Ram pickup truck was stopped outside airport property on the Dolphin Expressway near Northwest 87th Avenue and surrounded by state troopers. Police have not said what led to the chase. Local 10 News is gathering more information about the chase. Please refresh this page and watch Local 10 News at Noon for updates. MSNBC guest slams Robert Mueller for failing to indict Donald Trump Jr. in Russia report: "I think he wimped out"